From mid-December each year, normality ceases and everything starts to orbit around the colourful, joyous and magical festival we know as Christmas. We dress homes and shops with beautiful decorations, plan elaborate meals and find gifts for loved ones in a spirit of goodwill. But why, and where did all this came from? 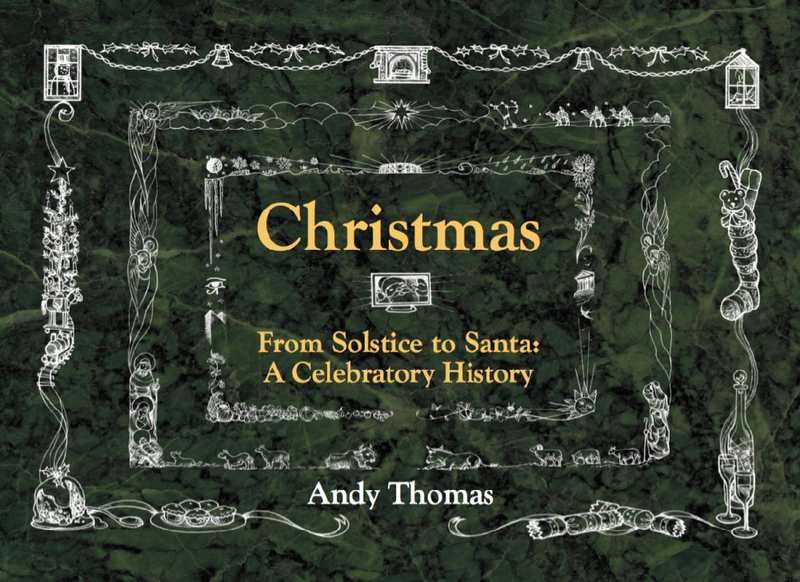 In an intriguing and entertaining journey, Andy Thomas uncovers the fascinating background to the festive season. From the ancient ceremonies of light in the darkness to the marking of the birth of a messiah, from medieval ‘misrule’ to Santas and sleighs, the time around the winter solstice has long been an occasion for rejoicing. Yet Christmas traditions have splintered into many guises and seasonal celebration was even banned in Puritan times. This book tells the fuller story behind the sparkle and merriment and shows why, for all the modern commercialisation, Christmas has survived and still has meaning for us today. Beautifully illustrated by artist Denise Miller, with a gold-embossed cover and with copious pictures and photos throughout its 168 pages, printed in seasonally dark green ink on cream paper, the book is the perfect Christmas present either for yourself or for others! It touches on many aspects of the season around the world and is inclusive to all beliefs and approaches. Buying a copy at one of Andy’s lectures. The book costs just £11.00 in the UK, inclusive of postage and packing. Overseas orders are £15.00 for the EU and £18.00 for the rest of the world. Please allow a reasonable time for delivery. Many thanks.